This page has been viewed 8178 times. Do you want or need to hire a Captain or do you want a Captain for some help on a long voyage? If you're thinking about hiring a Captain because you want some relief on a long unfamiliar trip, Captain James Lowe can help you out. Captain James Lowe can also help you to locate and commission crew members if you need to hire decks hands. OR perhaps your thinking about buying a boat or bought a yacht and now you need to get it home. Even perhaps worse case scenario, you had to abandon your vessel somewhere do to weather, time or mechanical breakdown. And now you need to get the boat to the intended destination. Now all you need is knowledge of maintenance, weather, the ocean and some boat handling skills and time. Fortunately, Yacht delivery Captain James Lowe moves sailing or power yachts from one destination to another on the water and on their own hulls. We offer yacht deliveries moving sailing vessels & motor yachts for the owner to use, enjoy, race or charter in their home cruising grounds. Or in a warmer climate for a season. Once the season is over the yacht can then be returned to it's home cruising grounds. 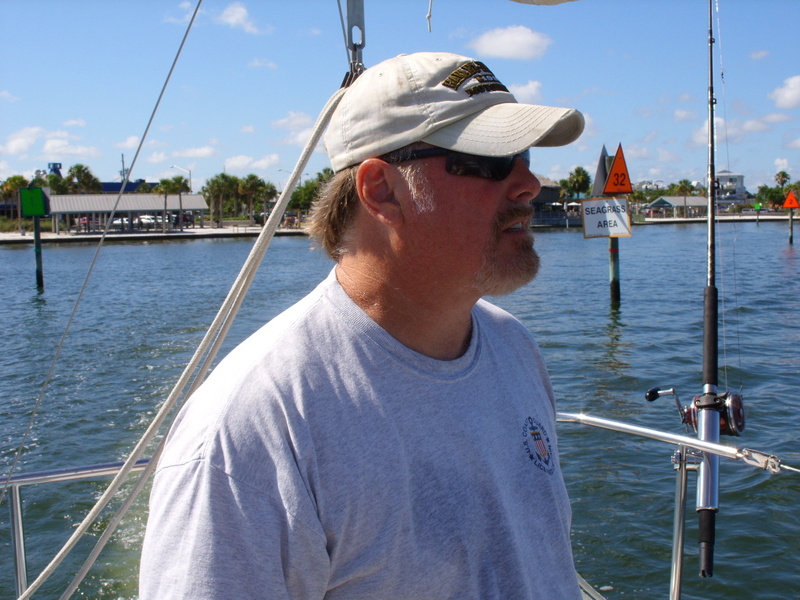 Captain for hire James Lowe is a professional licensed Captain based in Florida. Available to accompany you on a passage to provide owner assisted as well as unassisted vessel, yacht and boat deliveries.. Hire Captain James Lowe for safe dependable yacht deliveries, owner vessel relocation, boat shows, vacation destinations and vessel sea trials for new and used sales purchases. Consider hiring Captain James Lowe for moving boats around the Gulf, Atlantic, Florida or the Caribbean. Captain James Lowe is a skilled professional captain hired to pilot a vessel to a preferred destination or anchorage ensuring the safety of the yacht and guests. Captain James Lowe is more than willing to be an instructional Captain as well. Providing knowledgeable information regarding training to owners and guest such as vessel orientation, hands-on training and instruction for the new owners. As well as EXPERT navigational charting, plotting and general boat handling skills. Captain James Lowe is more than willing to show children old enough to handle a vessel under supervision how to drive a boat. Imagine a kid coming back to school after a vacation stating to their friends that the "went on a yacht". Even BETTER when the child can say "they DROVE the Yacht"! A memory that will last a lifetime! If you need to hire a Captain for local delivery and assisted passages with owner training underway. Or you need to hire a captain for long distance delivery and assisted passages with owner training underway. Hire Captain JAMES LOWE if you want or need to hire a captain for local boat delivery without the owner aboard, or for a long distance delivery without the owner aboard. Yacht delivery Captain for hire James Lowe is available and capable to master your vessel or to act as a relief captain. Captain for Hire James Lowe is not a retiree or a hobbyist! When you Hire Captain James Lowe you are hiring a professional Captain, resulting in professional service. Captain James Lowe is a highly experienced Captain available for delivery, relocation, relief, chartering, instruction and familiarization. Conveniently based in Central Florida. Performing EXPERT Captain Services and yacht deliveries for various motor and sailing vessels, and will shuttle boats throughout the eastern seaboard to the Gulf coast including all of Florida as well as the Okeechobee waterway or the beautiful straits of Florida. Captain James Lowe possess extensive deck knowledge & mechanical and other ship systems as well as vessel maintenance and troubleshooting, ability to diagnose mechanical problems and keeping them small before subsequent damage results. Captain for hire to ports along the United States ICW., Atlantic East and Gulf Coasts, Captain for hire in the Bahamas, Captain for hire in Bermuda, Captain for hire in Caribbean, Captain for hire in Alabama, Captain for hire in Connecticut, Captain for hire in Delaware, Captain for hire in Florida, Captain for hire in Georgia, Captain for hire in Louisiana, Captain for hire in Maine, Captain for hire in Maryland, Captain for hire in Massachusetts, Captain for hire in Mississippi, Captain for hire in New Hampshire, Captain for hire in New Jersey, Captain for hire in New York, Captain for hire in North Carolina, Captain for hire in Rhode Island, Captain for hire in South Carolina, Captain for hire inTexas, & Captain for hire in Virginia.